For buildings located in high-traffic, noisy areas, it’s critical to be able to dampen the din of noise pollution. To meet this demand, Ice Air has created a new product that lessens the effects of sound coming through Packaged Terminal Air Conditioners. Known as SoundShieldTM this new PTAC feature helps buildings pass stringent environmental codes, including New York City’s Office of Environmental Remediation (OER)’s “small e” designation code. Recently, the OER has taken a stronger approach to sound attenuation for new buildings. In an effort to minimize outside noise transfer caused by highway, subway, train or airport noise, they have implemented the Outdoor-Indoor Transmission Class (OITC) and Sound Transmission Class (STC) ratings, which apply to building components that affect the building’s envelope. When Ice Air bid on the Richmond Place project, located in the Richmond Hill neighborhood of Queens, NY, we knew that it wasn’t just a typical Packaged Terminal Air Conditioner (PTAC) job. The mixed residential complex contains 117 apartments for market-rate, low-income and supportive housing, and required 444 high efficiency PTACs. The one hurdle was that the building’s location was zoned as “e-designation,” meaning that the PTACs would need to meet a minimum sound transfer requirement. Although PTACs typically allow some sound transfer through their window/wall openings, there was no product on the market to mitigate it. Ice Air worked with the project’s Mechanical Engineer, Peter Joselow of Abraham Joselow, PC, to develop a PTAC unit that would dampen sound transfer from the outside, creating a quieter room inside. 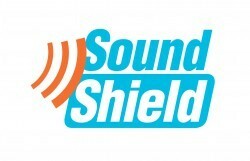 SoundShield underwent extensive in-house and third-party testing, and garnered impressive OITC and STC ratings. As a result, it was clear that SoundShield provides a marked improvement for an indoor environment when there is excessive outside noise. The PTACs with SoundShield has been certified with the NYC Noise E-Designation Remedial Action Plan. Now, thanks to Ice Air’s innovative approach to advanced HVAC equipment, the residents of Richmond Place can enjoy peace and quiet inside their homes. SoundShieldTM helps buildings pass stringent environmental codes, including New York City’s Office of Environmental Remediation (OER)’s “small e” designation code.